He was friends with music giants like Chopin and Liszt, but unlike them, is still considered a relatively obscure artist. In today’s video, we’ll talk about Charles’ life, and postulate on why he never achieved epic fame like his contemporaries. 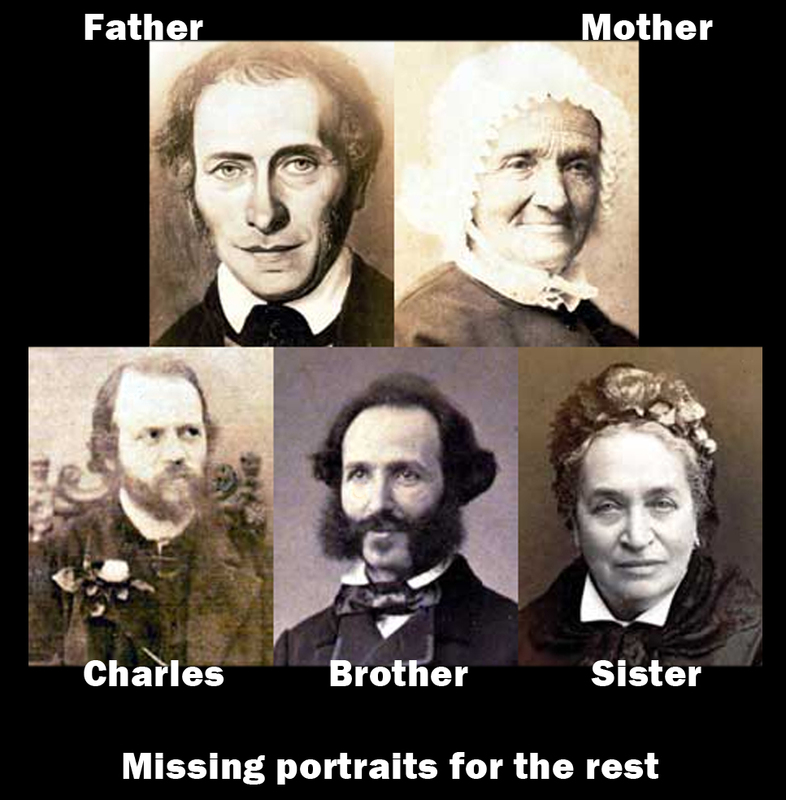 Charles Alkan was born in 1813 in Paris, and was one of six children in a musical family. His dad, Alkan Morhange, was a career musician who eventually ran his own private music school. All of his siblings were musical – there were professors, composers, pianists and a flautist. But Charles is the one best-remembered. Eventually, the kids, instead of using the last name Morhange, adopted their father’s first name (Alkan) as their last. He wrote his opus 1, his first piano composition set, when he was just 14 years old (in 1828). Charles Alkan did plenty of performing in his youth at salons, which were like fancy-famous people parties. He also helped do some teaching at his father’s school, while also continuing his musical education. The work ethic children back then had was epic. As a late teenager, Charles was integrating into Paris’s art scene, and became acquainted with Liszt and George Sand (a writer and Chopin’s paramour). He also befriended Chopin in 1832, when they were all around 20 years old. Charles Alkan continued writing and performing throughout his early 20s. He was living in the Square d’Orleans in Paris, which were apartments that housed many a famous person, including Chopin. They hung out a lot and became good friends and comrades. 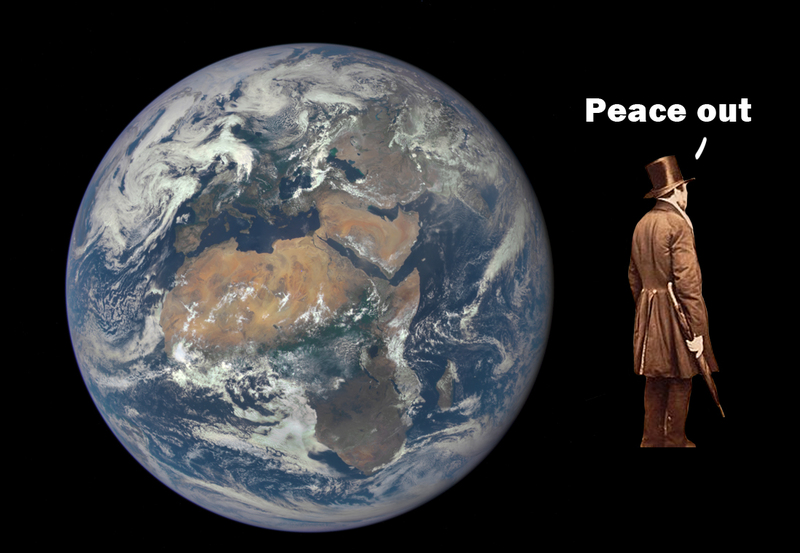 In 1839, all that changed. Charles had a son, Elie-Miriam Delaborde. He wasn’t a legitimate son, if you know what I mean. Delaborde’s mother was a wealthy piano student of Alkan’s. The birth of Delaborde spurred Alkan into his first retreat from society, lasting about five years. I mean, honestly, it was Paris in the 1800s – it’s not like it was the first time someone had an illegitimate child. But Charles seemed to take it hard, possibly because it went against his religious and moral codes. We can’t blame the birth of Charles’ son as the sole reason he went into seclusion, though, at least not on its own. Charles was also pretty unhappy with the musical situation in Paris in 1839 – it was all bombast and glam. And Charles was a traditionalist at heart. On his best days he wasn’t a fan of “modern music”, preferring works by dead composers like Mozart, Beethoven and Bach. In the 1840s, Charles moved away from the square d’Orleans, which meant his friendship with Chopin become a correspondence via letters. In 1844, Charles Alkan decided to perform again. He also began teaching his son piano (his son, like father, was destined for virtuosity). During Alkan’s seclusion, his technique grew even greater, and critics noted the “admirable perfection” of his playing. Charles Alkan had some great musical output at this time, writing some truly challenging pieces like his 25 preludes and sonata op. 33. However, his revival in the public eyes was short-lived, as he would soon be retreating again (and this time, for longer). In 1848, times were tough for musicians in Paris. Partly because of the 1848 Revolution, many musicians left Paris. Concert halls and performances became more sparse. Alkan was really gunning hard to become the new head of the Paris Conservatoire. This was a way to improve his financial situation, but also because he was well-qualified and able. His rival for the post was Antoine Marmontel, whom Charles considered very mediocre and unworthy of the position. Marmontel eventually won the job, which sent Charles into despair. Charles became further despaired in 1849, at the death of Chopin. In a letter to a friend, he wrote, “I have lost the strength to be of any economic or political use”. Chopin gave Alkan his unfinished piano method book for Alkan to finish, and many of Chopin’s students transferred over to Alkan. By 1854, Charles had entirely retreated from the public eye (again), and this isolation was deepened by the death of his father in 1855. He didn’t give up on being a musician – he just decided to focus on composing instead of performing. Much of what we know from this period of retreat, from 1854 to 1873, is from old letters between his friends. One way that Alkan passed the time was to translate the Old Testament and New Testament into French from their original languages (no big deal). Alkan was very passionate about Judaism. He also complained about the state of modern music. Alkan threw barbs at Liszt, Berioz, and Wagner, who he especially disliked. At one point he said that Wagner was “not a musician, but a sickness”. His music was just too much for Alkan’s Classicist sensibilities and refined French taste. 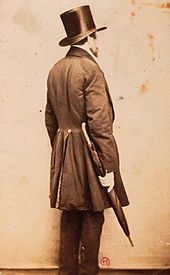 In the 1860s, Alkan began sinking into poverty, obscurity and poor mental health that is oftentimes a consequence (or a cause) of seclusion from society. He eventually even gave up composing music, as he could no longer see the point of it. Paris grew more unstable toward 1870 as Germany attacked it, and even Alkan’s now-well-known performer son left the city for a time. But Alkan, stubborn old goat that he was, refused to leave (even though his apartment had bullet holes in it). 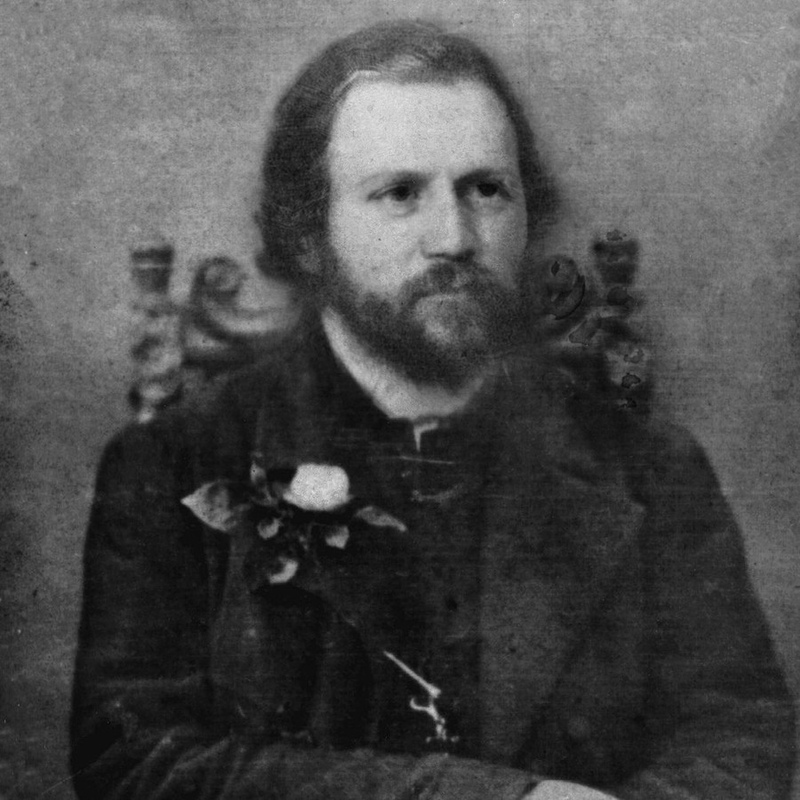 Finally, in 1873, Charles Alkan decided to perform again – a series six little concerts. Around this time, Charles’ son Delaborde was elected Professor at the Conservatoire, the post that had fought for so passionately years ago. Vincent d’Indy commented on Alkan’s playing, saying his Bach performance showed “expressive, crystal-clear playing”. 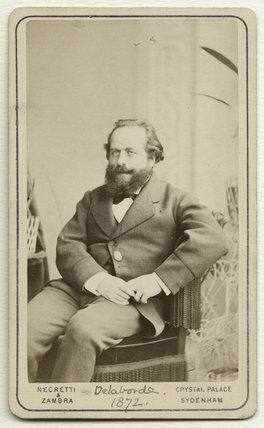 Charles Alkan died at the age of 74, in 1888. For some reason, the fable of his death was that a bookcase fell on him as he was reaching for a religious text. But what really happened was that Alkan had been found lying on the floor of his kitchen, under a heavy coat rack. He was then carried to his bedroom and died that evening. Let’s talk about the complicated topic of Alkan’s personality. There are the theories about possible disorders he might have had, such as Asperger’s or OCD. I have no idea personally, but who knows. We know that Alkan was an “all-in” personality. I mean, he dedicated himself to translating the entire bible, after all. Charles had even mentioned that he wanted to translate the entire bible to music. His sheer virtuosity and epic technique is also testament to this trait. Truly, Alkan was Liszt’s only true rival on a technical front – Alkan was the only person Liszt was nervous to play in front of. His relationship with his son is also telling. Alkan basically never admitted that Delaborde was his son, though everyone, of course, knew. Their personal relationship was tense, but they did perform together and Delaborde was always welcome at Alkan’s house. There seemed to be a mutual respect for each other, since Delaborde kept his father’s music in circulation well after Alkan’s death. Alkan was a traditionalist, so he was probably pretty ashamed about Delaborde’s reason for existence and illegitimacy. But he was also an overall decent guy, and did seem to love his son and help him out in life. This traditionalist streak also set him apart from some of his more flashy, extravagant contemporaries. He was a man from before his time. As we’ve talked about, this not only included his lifestyle and manner of dress, but also his musical tastes. Alkan was also the first to put Jewish themes and ideas into art music, like in his op. 31 collection of preludes. Charles became infatuated with a musical instrument called the pedalier and wrote many pieces for it. Unfortunately, that music has basically disappeared because no one plays the pedalier anymore. Interestingly, Alkan only has two portraits out there in the world, and one is a picture from the rear. I bet the editor is shaking his fist about that right now. Charles Alkan basically disappeared into obscurity until the 1960s, when performers began making an effort to integrate him into their repertoire. Even now, he is still much less famous than guys like Chopin and Liszt, even though he was their contemporary. I think the main reason for this was his reclusion. His first retreat from society at age 26 was before he was ever “famous”. He was well-known in Paris at the time, but he hadn’t really exploded in popularity. When he came out into the public light again, some people needed a little reminding who he was in the first place. And then the same thing happened between his first and second reclusions. He grew in public popularity, but disappeared from the spotlight before really exploding. I also think some of it might have to do with the fact that he basically never left Paris to go on tours, so he didn’t get wider European exposure. I hope you enjoyed this tour of Charles Alkan’s life, the discussion on his personality, and thoughts on why his music has become obscure over the years, despite his talent and his famous friends. Thanks for watching/reading, and I’ll catch you next time. 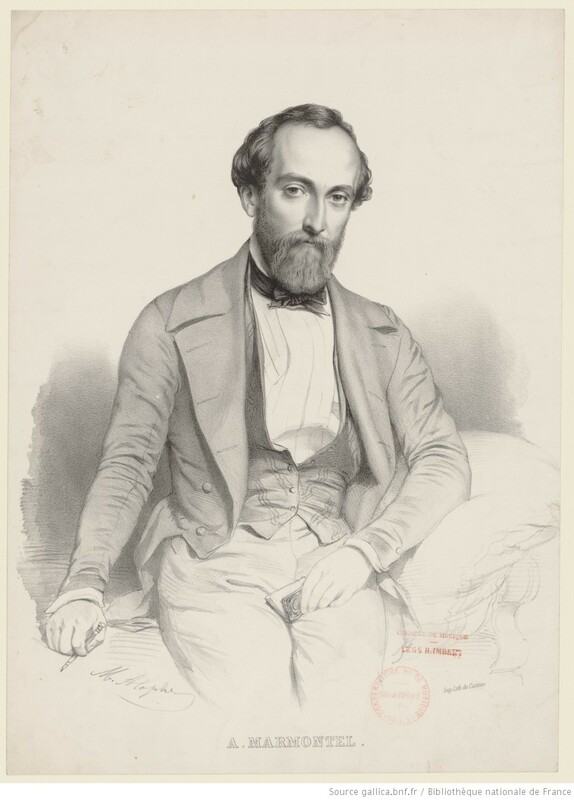 Composed by Charles-Valentin Morhange Alkan (1827-1872). Preludes; Original Works. Romantic, French. Score. Composed 1847. Published by Masters Music Publications Inc. (MT.M2762-SC).